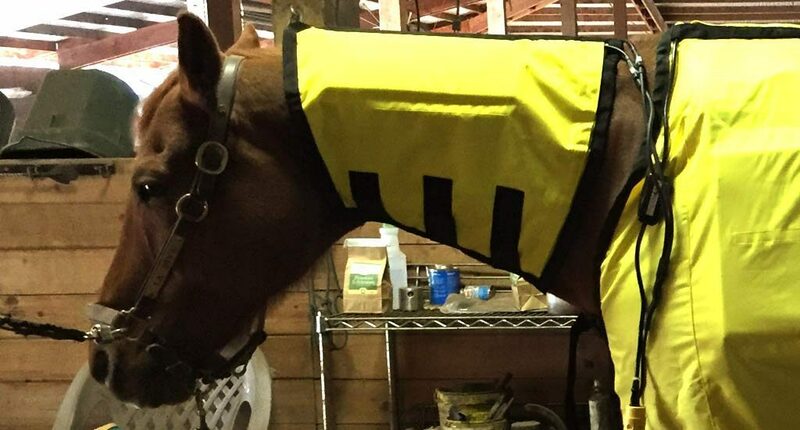 I have used Microcurrent, Light Therapy, and Infrasound therapy on my horses for years and finally purchased a Thermotex Blanket and Neck Wrap to add to my collection. My horse, CJ, has been a performance horse his entire life; started on the Race Track and then moved on to the Hunter/Jumper Ring, Pony Club, Eventing, and then we finally landed in Dressage. He has always carried a lot of tension and soreness in his back and hips, he also has straighter hocks which has caused hock soreness. However, we have kept all of those issues in check using microcurrent and the other therapies. On March 18, during a lesson CJ tripped twice in a row and I knew immediately that something wasn’t right. Sure enough the next day he was lame. He was holding his right hind leg very forward and pointing his toe to alleviate pressure. I immediately started a mixture of Microcurrent and Iontophoresis treatments to try and calm down his hocks, back and hips (where the issue seemed to be stemming from). After two and a half weeks of treatment his pain level had decreased and he slowly was becoming more sound, but wasn’t 100%. 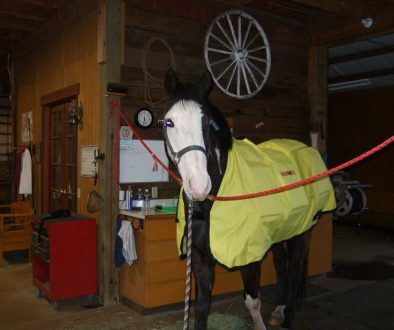 When I received the Thermotex blanket & neck wrap I promptly did a treatment on him, which he thoroughly enjoyed. After a 45 minute session I turned him out to roll and was surprised to see that he rolled not only on his good side but his bad side as well. Until that point he was still being very guarded about his right hind. As soon as he got up he bucked and took off, and I was very happy to see that his movement was better, there was less of him jerking his right hind up. When I went to take him back to his stall I couldn’t believe how loose the muscles in his back and hind end were – they were like jello!